Just in case you needed one more reason to go on The Yacht Week this summer, InStyle UK have given you seven. Read the full article here. Choose up to 12 of your mates and charter your own yacht or grab your BFF to join an existing yacht with a spare cabin. Then choose your route. Whether you want to dance under the stars in Croatia, climb a volcano in Sicily or ring in the New Year on the British Virgin Islands, The Yacht Week has all your squad goals covered. Plus, with people jetting in from all over the world for a similar experience you know you’re set to make a lot of like-minded new friends. Let’s face it, we’ve all got enough going on on a day-to-day basis without adding to the mix planning a holiday. The joy of The Yacht Week is once you’ve booked you’re sorted. There are no group WhatsApp messages about booking tables at that must visit nightclub or who's responsible for organising paddle boarding. Instead, you’ll receive an itinerary with what you’re welcome to opt in or out of doing, meaning you and your mates can just focus on having fun. If you spend Sunday evenings in your PJ’s, eating pizza, watching Love Island and simultaneously swiping on Tinder than The Yacht Week is going to seriously up your dating game. With the majority of yachts made up of singles aged 25-30, and a 50/50 gender ratio this is one major flotilla of potential. Plus according to research from the team at The Yacht Week, apparently there have been 86 references to ‘The Yacht Week’ in wedding speeches since it started. Get ready to take on those travel bloggers that are always spamming your Insta feed with major envy inducing travel posts. The Yacht Week is essentially guaranteed Insta bait. From those gazing wistfully off into distance golden hour shots, to those group cheers to the rosé boomerangs and hyperlapse shots of you diving into the blue sea, just think of The Yacht Week as one huge content creation opportunity. Get perfecting that selfie pose now. 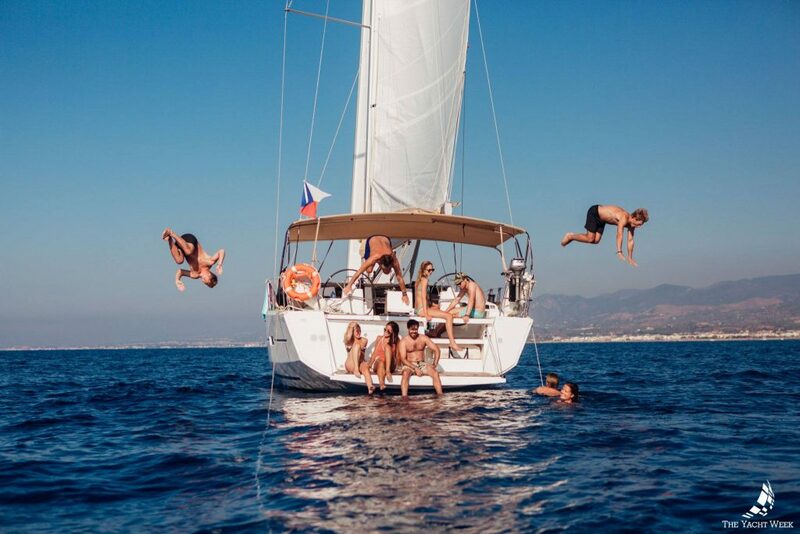 With music pumping from every yacht, everyone smothered in glitter and dancing barefoot until dawn, The Yacht Week almost feels like the ultimate festival but without any of the dreaded mud and port-a-loo issues. One day during your trip, all the yachts will be moored together in a star formation to create one giant swimming pool in the middle of the sea. Add to that an endless array of unicorn inflatables, floating shots and you’ll never want to go to a festival on dry land again. Sure there’s lots of time for letting your skipper do the sailing while you kick back and sip champagne but there’s a lot more to The Yacht Week than just a week of 24 hour partying. From discovering secret caves in Montenegro, to sea side yoga in Croatia and eating your way around the best tapas bars in Mallorca, get ready to start ticking things off your bucket list. Spending 24 hours a day for 7 days meeting new people from all over the world while experiencing some once in a life opportunities can only mean one thing - new friends for life. Which also means plenty of more opportunities to expand not only your social life but also professional network too. Interested in working in NY? You might just meet someone who is up for doing a job swap. An expert at marketing? You might bump into the head of a new start-up looking for just that. Love social media? You might be on-board a yacht with someone who needs someone to manage their brand's accounts. Now that's just way cooler than a Linkedin request.